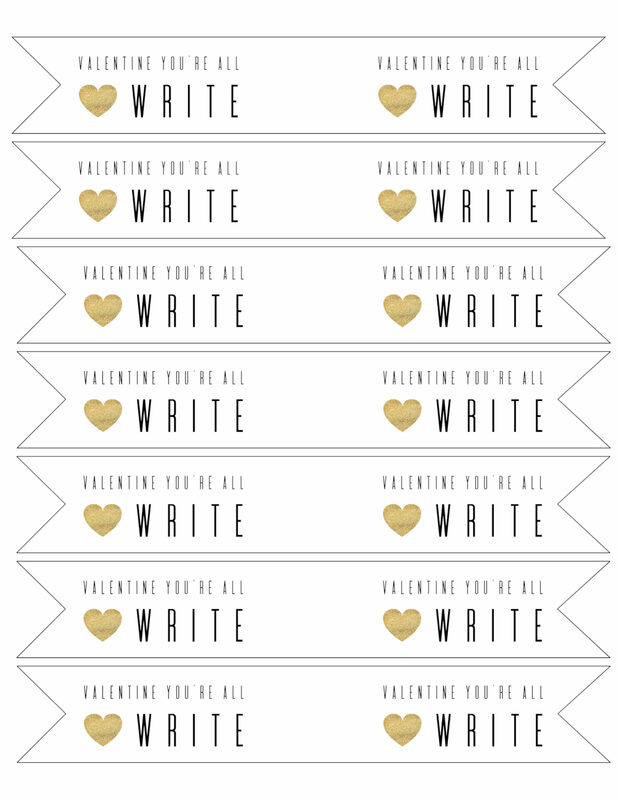 Make these pencil valentine card printables free with our free printable pencil valentine. 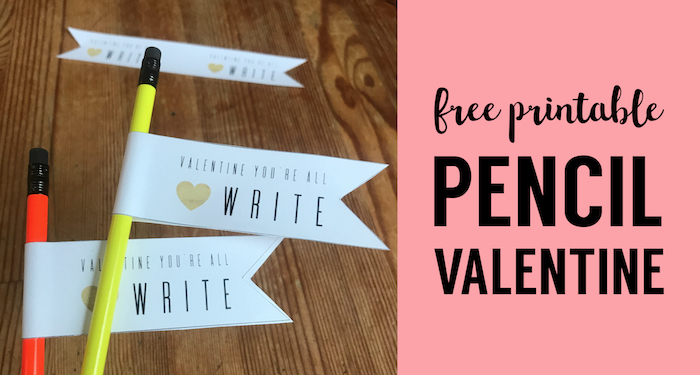 Just print the valentines using the link below and glue them around pencils like these tie-dye pencils on Amazon that were a little cheaper than all of the heart and Valentine pencils. This is an simple and easy DIY. I found that when I made the pencil valentines it worked best to put some glue in the middle so that the tag doesn’t slide up and down the pencil. Maybe that’s obvious but it took me a bit to figure it out. 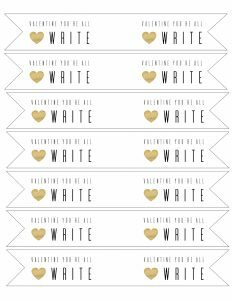 Don’t forget to check out PicMonkey a free trial of their website and you can easily customize these pencil valentine card printables free. If you want a little more guidance then check out our tutorial on how to use picmonkey. 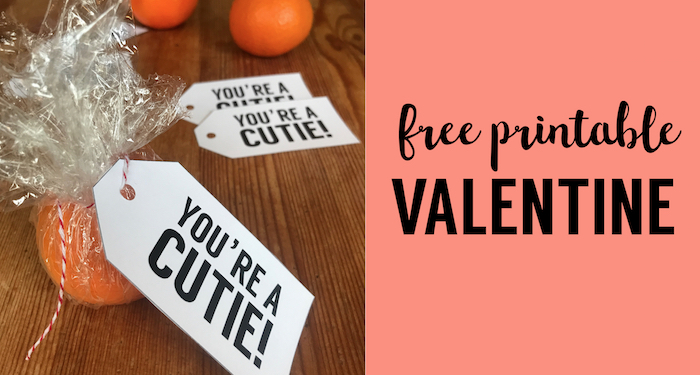 Looking for an adorable and healthy valentine? This cutie valentine is perfect. 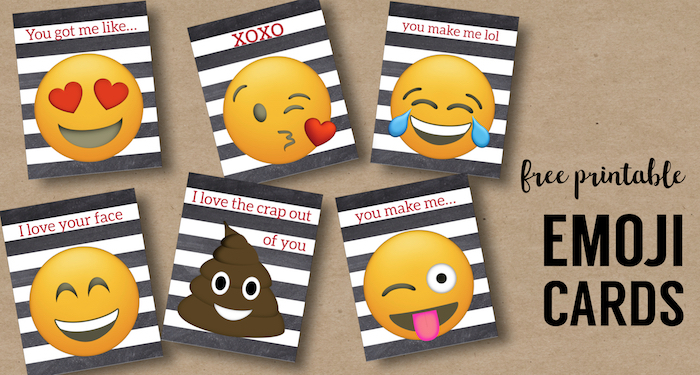 These emoji valentines are an easy crowd pleaser for Valentine’s Day. 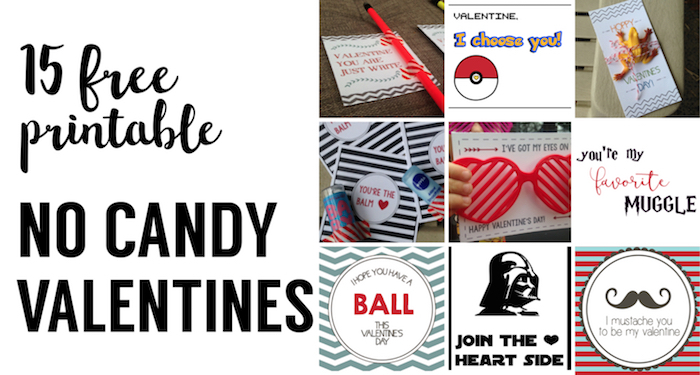 Here’s over 15 more Valentine card ideas that you can print for free!